I think everyone can agree that the act of moving is no fun. Well, as much as I try to find some enjoyment in it, I must admit that moving to from Naples to Tampa was just a lot of work. Luckily it is also over! After a long and rainy day (thank you Mother Nature for waiting until the exact moment I got to Tampa to unleash a torrential downpour on the city) of moving my relatively small amount of things and my freaked out cat (she was terrified for the entire first part of the move), and then unpacking EVERYTHING, I finally could say that I was home. Of course, I still had no real furniture besides a bed and desk, but hey, it was a comfortable roof over my head right? More than a week has gone by since I actually got settled in my new place and started my new job, but TODAY is the day I’m saying I am finally done. Because today I get cable. I haven’t had cable in almost a year now, but I finally made two big purchases over the weekend – a couch (thank you IKEA) and a TV. It may sound silly, but I can’t tell you how great it feels to have a couch and real flat screen TV. It sort of validates me in some way… makes me feel more like a grown up. No more lying on a heap of blankets and stack of pillows watching Modern Family episodes on my MacBook. No more having to put up with my old TV refusing to remove the subtitle display from DVDs I watched. No more rewatching of the same three television series over and over again (though they are three really good ones) from the floor of my bedroom (where I ate since I didn’t have a couch or kitchen table). Happily, I shook that over this past weekend with the help of my Dad who is visiting. 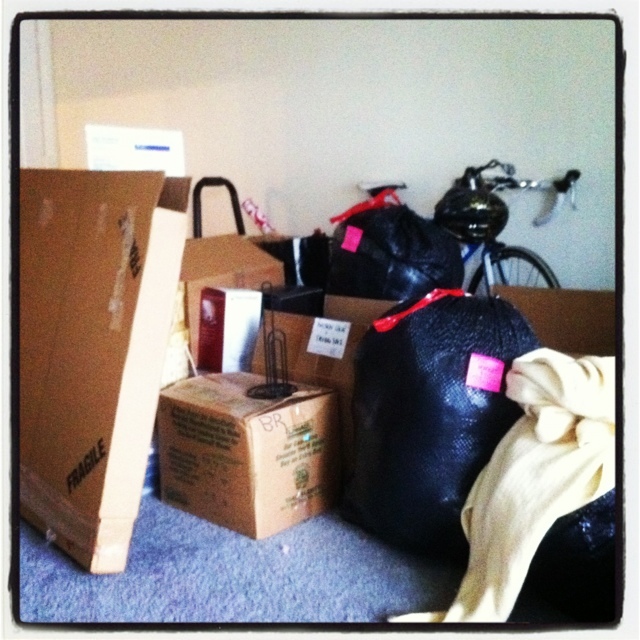 How long does it usually take you to feel completely moved in to a new place?